One of the most consistent worries our Hertfordshire business owners have is unauthorised entry to their premises, especially over weekends and holidays. 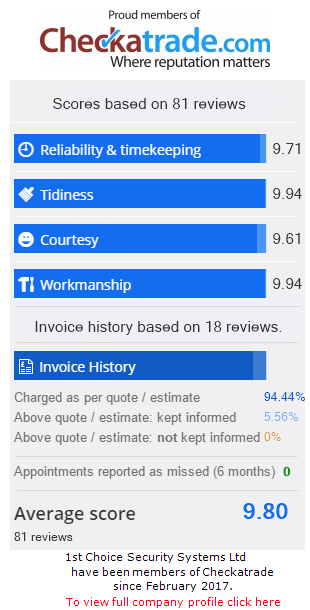 One of our clients admitted that he checked his premises regularly when not at work, just to put his mind at ease. 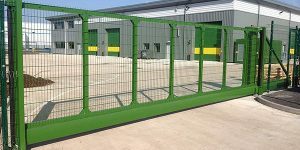 Effective security gate installation begins with a thorough assessment of the business premises, and an assessment of the security gate systems for Hertfordshire which would be most appropriate. Our design and installation team are always happy to talk to business owners about their current systems, offer advice on security enhancements, and provide guidance on creating an holistic approach to security for your premises. This may include two or three security components, such as an alarm system, security gates, and door entry systems, all of which work in concert to secure your premises, your products and your employees. 1st Choice Security Systems provides a range of security gates systems for Hertfordshire, all of which can be customised to the specifications of your premises. For example, if you have limited space, or an inclined driveway, you may want to consider our sliding security gate installations. Whatever your preferences our skilled and experienced security gate installers will ensure a prompt, professional piece of work, concluding with handover. It’s a great feeling to see the business that you invest your time and energy in, robustly protected when you aren’t there to do so. If you’re living with the worry of intruders right now – call 1st Choice Security Systems, and book yourself a good night’s sleep!